A notorious Boston property is about to embark upon what is at least its fourth life. The building at 888 Tremont Street in Roxbury is currently undergoing an interior demolition in preparation for a major renovation. Owned by Frank Williams, Jr., son of the long-time owner of the Estelle’s nightclub that occupied the site for many years, South End contractor C. Patrick Haydon is converting the building into nine rental units. Local residents should be pleased. Good neighborhoods are made up of a mix of private and public housing and shops and services, and with all of the subsidized housing in the area and Northeastern University gobbling up as much property as it can, there is very little land available for development, but that’s what is needed here. It will be quite a change from its previous usage as a jazz and nightclub, a past full of good times, tragedy, and intrigue. Back in the 1920s and 1930s, Charles “King” Solomon was a Boston gangster, smuggling rum imported from Latin America between Boston and New York and New Jersey. He, and other bootleggers, ran a rum-running fleet—a literal fleet, as it transported rum by ships on the Atlantic. Solomon owned several nightclubs, including Boston’s Cotton Club, located at 888 Tremont Street. He also owned Cocoanut Grove from 1931-1933 (before the horrific fire that claimed 492 lives), as well as theaters and other real estate. On January 24, 1933, Charles Solomon was attacked in the washroom of his own club by four men and shot three times. Stumbling out of the Cotton Club onto the street, he is supposed to have said, “The rats got me,” before collapsing. He died a short time later. It’s possible the crime was a simple robbery—he had over $4,000 in cash in his pockets at the time; it’s also quite possible his murderers thought he was going to cooperate with federal authorities, so they shot him dead to silence him. This section of the South End—or you could call it Roxbury—enjoyed its jazz heyday in the 1940s and 1950s, where in the area near Massachusetts Avenue between Columbus Ave and Tremont Street, you could find the Hi-Hat, Savoy, Storyville, the Roseland Ballroom, the Wig Wam, Tic Toc, the Professional and Business Men’s Club, Eddie Levine’s, and Wally’s Paradise—which is still open today as Wally’s Cafe—among others. Later on, the building was known for at least a couple decades as Estelle’s nightclub, where in the 1960s R&B greats such as Marvin Gaye, David Ruffin of The Temptations, Gladys Knight & the Pips, Dionne Warwick, and George Benson performed. Estelle’s was a part of the Tremont Strip, which included Slade’s (still open), and Connolly’s (on the site of what is now known as Parcel 3). Due to changing tastes and a changing city, this “bookend” neighborhood between the South End and Roxbury fell into blight. But the owners of 888 Tremont Street carried on. In the 1970s, the downstairs club was turned into a disco. In 1980, co-owner John Tinker opened a jazz club upstairs, but it lasted only a couple years. Sadly, Tinker was shot and killed by a disgruntled employee inside Estelle’s in 1982. There were further attempts to turn the spot into a place of entertainment, but those ventures saw limited success. In 2003-2004, a businessman attempted to open a new club inside the building, but neighborhood opposition put an end to that idea and it remained empty for the next decade. Now it’s on the verge of a new life as housing, an idea that seems a bit odd but also makes a lot of sense. The area around 888 Tremont doesn’t feel like a neighborhood, even with the Lenox/Camden housing development behind it and the Davenport Commons in front. The street is too wide to cross comfortably by foot, and there are few shops open to make you feel like hanging around: a Subway, a pizza joint, and a check-cashing facility. But the South End is obviously a desirable neighborhood, perhaps more desirable than any other time in its 150-year existence. The demand for housing seems insatiable. To build housing is logical, and potentially, a lucrative endeavor. 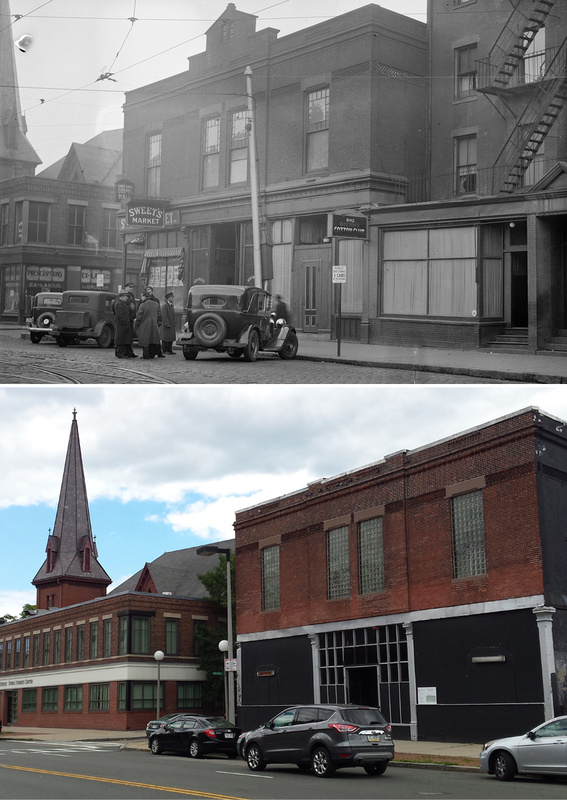 The South End and Lower Roxbury have endured a century and a half of enormous change, some of it good, some of it bad. The neighborhood around 888 Tremont Street, after suffering years of neglect, might now be poised for greatness. All it takes is one little spark.